After a successful corporate career in customer service with a Fortune 50 company, I entered the real estate industry in 2005. Initially, in commercial real estate as a business broker I assisted in the ownership transition of family owned businesses working with both buyers and sellers. 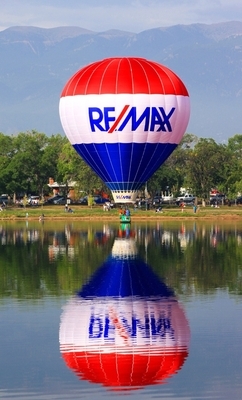 In 2010 I made the transition to residential real estate and joined Remax. Working with buyers, sellers, and investors allows me to touch all aspects of real estate and work with both first time buyers as well as seasoned investors. With primary focus on the West County market area, I also have knowledge and experience with the St Charles County and South County markets. I encourage you to check out the recommendation tab to hear from past clients my service and support style. I truly believe in building a relationship with my clients and keeping the focus on bringing my professional experience to bear in supporting whatever their real estate needs are. I confirm that I worked with Robert Hudspeth in the buying or selling of this property. - Robert helped us sell the house that we bought last year and it has been a great experience working with him. He was always top on things. He took care of setting up timers on my lawn and took care of few other things because we moved out of the town. I would highly recommend Robert and would work with him again if I get a chance. - We had a short timeline to sell our home and Robert met that timeline! He kept us informed every step of the closing process. He's very professional and knowledgeable about the real estate market. He went above and beyond our expectations! I would highly recommend Robert to friends and family! - I have bought 3 houses now from Robert. He has found some great deals for me and is very responsive to my phone calls. I would recommend him to anyone! - Robert was referred to me by a Friend for my home buying. It's a great experience in collecting my needs and quickly setup appointments for the list of properties. I just closed a home in one field trip and Robert did all followup work until the hand over. - Robert has been the best realtor. He helped me buy my house and sell it 5 yeas later for $35,000 more than I bought it for. Robert was always most concerned about my needs and wants and did his best to help me every step of the way. He helped me get through both the buying and selling process with ease and went above and beyond regularly. Thanks Robert - it was a pleasure workin with you!! - We have bought and sold 8 homes and this experience with Robert was by far the best we've ever had. He honed in very quickly to our needs and found exactly what we wanted. He is organized, caring and very in tune to the market, steering us away from a few potential mistakes. Highly, highly recommend Robert! - Robert was extremely helpful and prompt with all our queries. He quickly understood our needs and helped us to find the right property within 2 weeks. We had a very pleasant experience working with him. 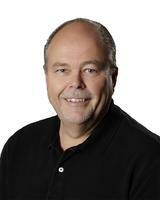 - Robert is amazing, he has good knowledge on what to look for in a home. nHe by looking at home he would say what is wrong with the house, such is his knowledge. I was amazed by the knowledge he has and shares that with all his clients. nI would highly recommend him to any one. - This was our second transaction with Robert and we are listing our existing home with him as well. Great market knowledge and a great negotiator, can't believe the deal he got us on this home! - Robert has a very wide rage of experience regarding the house's.. he was very help full in providing the right information to us and he was very supportive on our decision's. We had him show us more than 100 properties and he was very very pittance while he was showing us and very understanding as what our requirements are and helped us make choose a right home for us based on our needs. - Robert made the whole buying process easy! He was wonderful to work with! He is my lifetime realtor! - Robert was great to work with as we found the property and got it under contract within one day of it going on market. Entire process was very smooth. We are now working with Robert on the purchase of another property.